Topics: Introduction, Environmental Construction Development, Construction Projects, and Environmental Management. 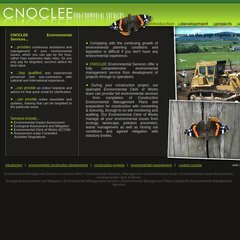 cnoclee.co.uk Environmental Impact Assessments Management Inverness, Highlands ..
cnoclee.co.uk Environmental Construction Services in Inverness-Shire, Highlands .. It is hosted by Dh-sr-nix (England, Leeds,) using Apache/1 web server. Its IP Number is 81.21.75.91. ns1.turbodns.co.uk, and ns2.turbodns.co.uk are its DNS Nameservers.